Castrol Optifluid KTL producer, buy. 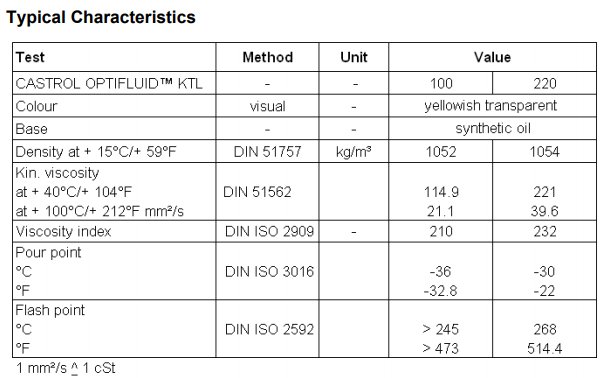 OPTIFLUID™ KTL are thermally stable synthetic lubricants with an extremely high load carrying capacity. Additives free from solids and silicone form an adhesive, anti-wear lubricating film. OPTIFLUID™ KTL disperse evenly in water or water-soluble paints. Unlike conventional lubricants OPTIFLUID™ KTL do not affect painted surfaces (no formation of craters, surface waviness, staining or rough surfaces).